An eye for an eye makes the whole world blind is the message that Mr. Piyush Desai, Managing Trustee, Asha Kiran Trust, CSR wing of Wagh Bakri, shared with 100 students who participated in a rally, from Gujarat Vidyapith to Gandhi Ashram, on January 20, 2018. When the rally was flagged off from Gujarat Vidyapith, Mr. Pramod Sharma, Programme Director, Paryavarayan Mitre, Centre for Environment Education, discussed about different forms of violence that students face in schools and colleges today, and how children can deal with it. 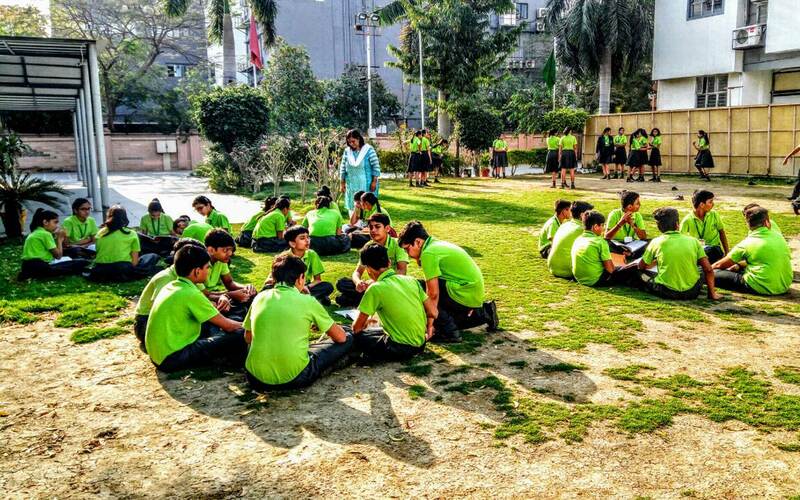 Mr. Atul Pandya, Director Gandhi Ashram interacted with students, where he laid stress on the importance of being reflective about one’s behaviour. He stressed that humans have the ability to reflect and change their behaviour, in a way that is sensitive and has empathy towards fellow human beings. Students from three schools namely FD Primary School, FD High School and Iqra English Medium School participated in this rally. 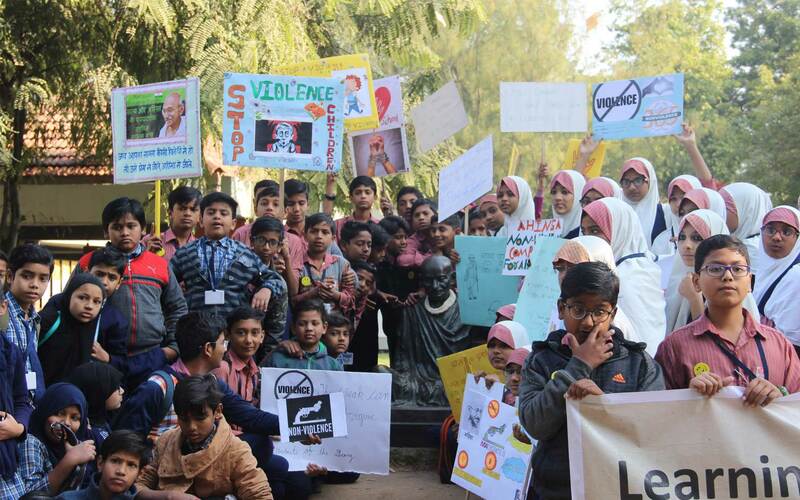 The rally was organized as part of the Learning Non Violence Programme (LNV). Given the response that we received in the first phase of the Ahmedabad Experiment, CEE launched the second phase of this pilot. As part of the second phase, it is planned to have interested teachers participate as co-researchers on this programme. The team of teachers will work with CEE to test the developed activities (an activity book with 25 activities was developed by CEE) try them with students and give critical feed back to improve them through fortnightly or monthly meetings. 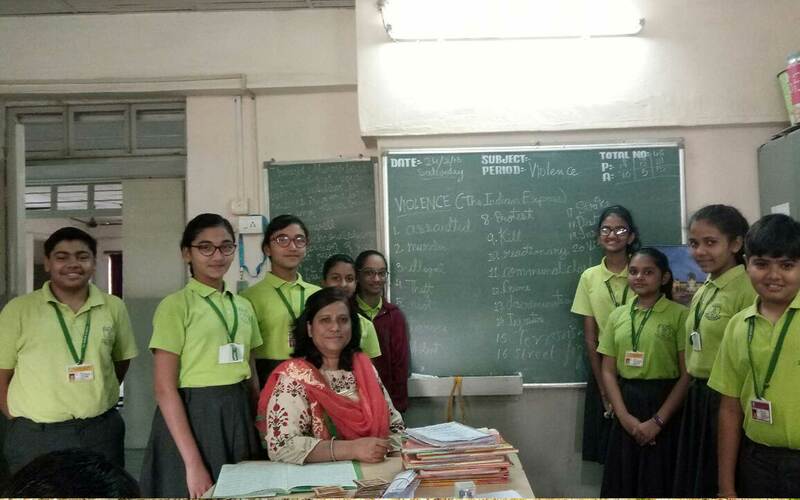 Teachers from FD Primary School and FD High School, St Kabir School, Naranpura and Drive-In Road Branches, and Iqra English Medium School are co-researchers on this programme. In Ahmedabad, the programme is being offered in Gujarati and English. The Canadian Prime Minister Justin Trudeau and his family visited Gandhi Ashram on February 19, 2018. The Prime Minister launched the Global Gandhi Peace Program: Learning Non Violence through linking Ahmedabad schools with a Canadian school in Ontario. The pilot will involve a partnership between city’s St Kabir School and Father Fenelon Catholic School in Pickering, Ontario. The project will come out with a pedagogy for schools across the world to promote non-violence. The ‘Kashmir Experiment’ coming soon! Given the response of teachers and students in Ahmedabad, it was felt that it would be worthwhile to validate the programme in another location. We are aware that Jammu & Kashmir is a severely conflict ridden State and remains disturbed quite often. Even though the Kashmiri society is peace loving, however, due to increased incidents of militancy, large scale violence, disturbance, insecurity, loss of working days and business is observed in the state. 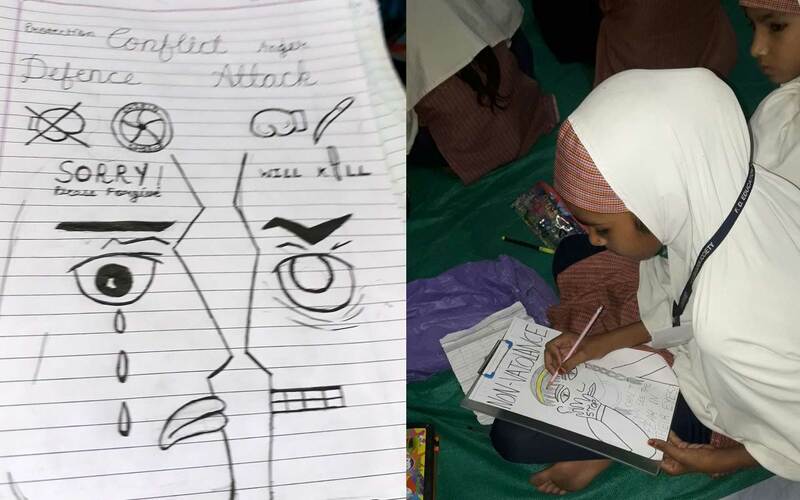 For the past few years, it has been observed that even students engage themselves in activities like stone pelting, protests, demonstrations and strikes.